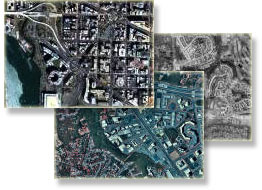 Aerial Photos and Topographic Maps are available as photo-prints. Photo-prints are produced by E.Z. Prints, Inc. on Fuji Crystal Archive professional photographic paper. Photo-prints are available over any area of your choice within the continental United States at 1-meter resolution or better (at 1-meter resolution 1meter=1pixel). PLEASE NOTE: the image area you selected maybe expanded to fit into the proportions of the print. You will have an option to choose print size.